"There aren't any people in this city, Verónica. Only monsters." Setting down my thoughts about this novel is not an easy task; it has a level of complexity that is not easy to translate into a standard summary or review. 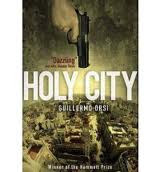 Holy City is no ordinary novel of crime fiction -- it is a look not only into the darkness of the Buenos Aires underworld but also its connections to corruption among politicians, the legal and justice systems, and the police of the city, all institutions that are supposed to function as protectors of the city's populace but which have instead carved out their own little niches of power, money and influence. 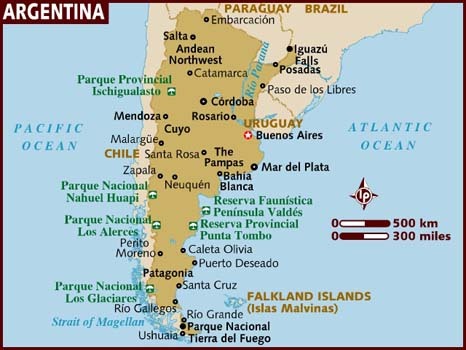 It also provides a glimpse into Argentinian attitudes toward their neighbors, into remnants of Argentina's junta-ruled past and the problems with America's ongoing battle in the war on drugs. This book just screams noir, with its dark, atmospheric undertones, and while it may be a bit confusing with its multiple subplots and characters, overall it is a great read, a bit challenging but one that is unforgettable. "rules with an iron fist his twenty blocks in the south of Matanza, an open sewer inhabited by the rejects of the system, zombies who steal and kill for food, ragged foot-soldiers in an army whose only discipline in the certainty that if they disobey orders they will starve to death." The man who's about to die is Zamorano, who allowed himself to be convinced by Ana Torrente, a former Miss Bolivia with "the face of a cherub floating on a cloud" to double cross his boss. Ana, running scared, turns to lawyer Verónica Berutti for help and some protection; until Berutti can arrange it, she allows Ana to stay in her apartment. But Ana flees, taking along with her Verónica's old pistol. 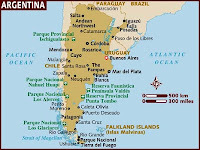 In the meantime, the Queen of Storms, a cruise ship filled with very wealthy passengers, runs aground in the Río de la Plata estuary. The passengers are taken off the ship and hoteliers are vying to put them up in their establishments. On board is also a young man, Pacogoya, who has made himself useful by selling drugs to the foreigners (among other things). Pacogoya meets his dealer who tells him he can only get him half, but gives him an address where he can get the rest. When he arrives he finds a decapitated body, the first of many throughout this book. Eventually Pacogoya is compelled into delivering up a list of names of the most wealthy passengers on the ship, who are eventually kidnapped and held for ransom. One of those couples turns out be extremely important: a Colombian drugs-mafia boss and his girlfriend. Veronica, friends with Pacogoya and still looking for Ana, finds that her life is in danger and is assigned a bodyguard; she also seeks help from Deputy Inspector Walter Carozza of the serious crime squad in the Federal Police. As events progress, Carozza realizes that something huge is going on; that it's not enough to get the small fry behind the operation but to find out just who is running the show. In a police effort to retrieve the passengers he is teamed with Oso Berlusconi, a cop with a penchant for sadistic violence who got into the police partially to finance living the good life. And as the action moves along, looming in the background is a growing number of dead bodies, all with no heads. Holy City is really one of those books you must read yourself -- a mere description is not enough, and to say more would really wreck it for anyone potentially interested. It's probably one of this year's darker reads, but at the same time it's an eye opener. The story is highly credible and clear cut, often moving in memories between past and present as a way of getting into the lives of the main characters. The best thing about this novel is that as you read it, you get a real sense that Orsi has the ability to get underneath the surface and into the reality of life on multiple levels -- that here's someone who really gets it and not only understands how things work but is also able to convey that reality to his readers. The atmosphere surrounding the stories within the novel is always dark and bleak; the neighborhoods of the city are realistically described so that you feel yourself there. At the same time, the book gets a bit confusing toward the end when all is revealed; although ultimately satisfying, you may have to go back and reread the last few pages before the story really gels. Definitely a good book, but also not for everyone, Holy City will satisfy anyone's need for a good jolt of serious noir. I'm attracted to the darkness of this book, but it's also a challenging read, not one to rush through. Definitely not for cozy readers or for those who are into lighthearted and redeeming fare; all other serious crime junkies will probably like it. An excellent review, though you seem to have enjoyed it more than I did. Thanks! Yours was the first review I saw after finishing mine. 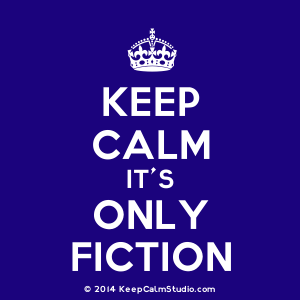 I need to get in the habit of posting links to other people's reviews -- memo to self. Actually I did like it but I'm really drawn to this kind of dark, under-the-surface stuff. I know I'm kind of strange in that regard, but oh well. I just found the end kind of confusing and actually did have to go back and reread a few pages to make sense out of it because it was sort of surreal there for a while. You are welcome NancyO. Do not feel oblige to post links. I don't feel obliged, but I think starting with the next book I'm going to make it a regular occurrence from now on. oh me oh my what do I do?